Single: Johnny Logan - What's Anther Year? 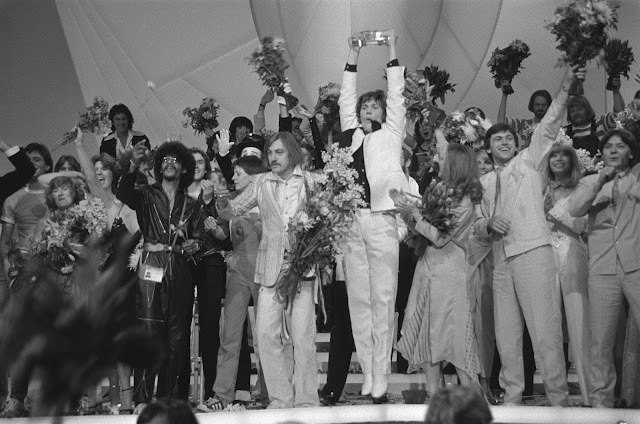 Having won the Contest in 1979, it was expected that Israel would host Eurovision in 1980. However, the cost of hosting two consecutive major productions proved prohibitive for the Israelis who eventually passed the baton to the Dutch; the Spanish and the British reportedly having already refused to do the honours. So, the Contest returned to the Nederlands Congresgebouw (now the World Forum) in The Hague - the venue for the 1976 competition. Sadly, Israel did not participate due to April 19 being the country's Day of Remembrance. 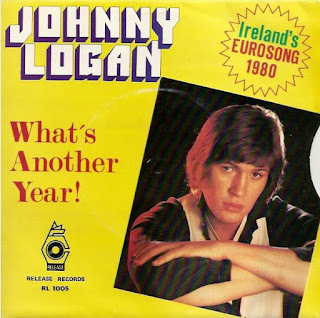 It was here that Ireland registered its second win (following Dana's victory in The Netherlands in 1970) with Johnny Logan singing What's Another Year? 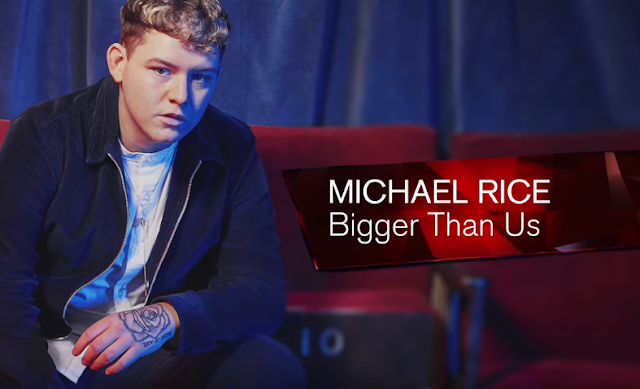 The song scored remarkably consistently, eventually securing seven sets of top marks - including 12 points from The United Kingdom. In fact, this wasn't the first time that Logan had attempted to represent Ireland. 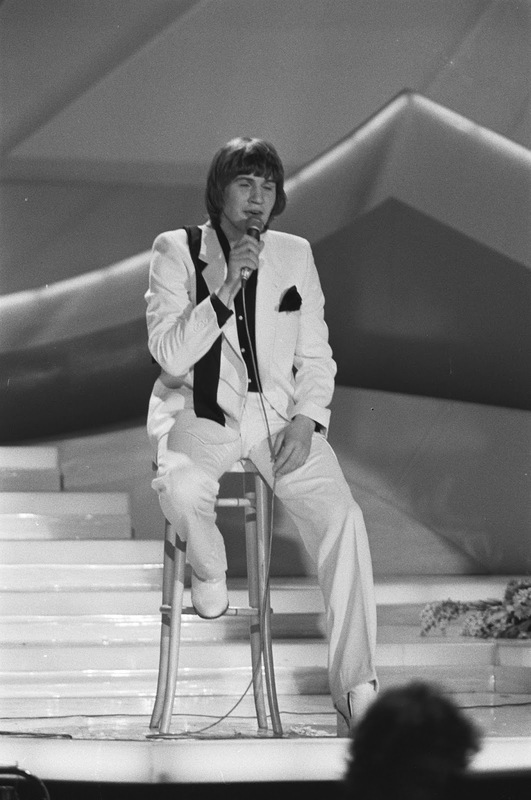 He had tried in 1979 with the song Angie, but could only manage third place at the Irish National Final. Actually, he wasn't even the first choice to sing What's Another Year? That honour had fallen to Irish showband singer Glen Curtin who had declined to do it. Nevertheless, having won his national vote, Logan travelled to The Hague and drew to perform seventeenth (out of 19) on the night. Once the voting began, his entry had secured its first set of 12 points from the Greeks - the third nation to announce its scores. However, at this point, it looked as if the host nation may run away with the victory. When Luxembourg, the fourth nation to reveal its points, gave their top marks to the Netherlands, Maggie MacNeal's Amsterdam had now received three sets of top marks. Still, it wasn't to last. MacNeal's popularity waned while Logan began to secure points from all dozen or so of the remaining nations to vote beginning with Denmark (12 points) and ending with Belgium (12 points). In fact, the UK's top marks for Ireland came off the back of two previous maximum scores for Logan - those from Norway and Germany. At this point in the proceedings, only Germany appeared to be scoring consistently enough to possibly catch him. However, not even Katja Ebstein's Theater could narrow the gap sufficiently, leaving Logan to secure 143 points for the win - a clear fifteen points ahead of Germany. As a close neighbour of Ireland, it was probably unsurprising that What's Another Year? would benefit from a high UK score. What was possibly more surprising was its commercial success in the UK, given that the British Number 1 spot had become an infrequent home for Eurovision winners. Proving that assumption incorrect, Logan spent two weeks at the top of the UK charts as well as enjoying great chart success with the song across Western Europe. Labels: Eurovision 1980, Eurovision 1980, Eurovision Song Contest, Eurovision Winner, Ireland, Johnny Logan, What's Another Year?